Left: Kim Kardashian filming in Miami last month. Right: Pink at the American Music Awards on Sunday night. So tell us who do you think wore it better? Pink on the set for her new video! Guess who’s the new Cover Girl? 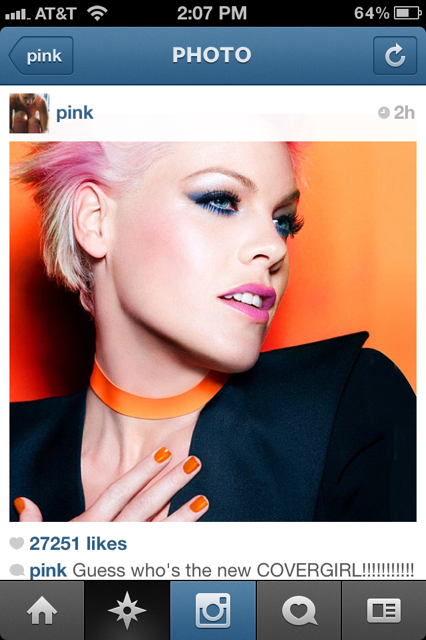 Pink posted this on her instagram. Congratulations Pink!